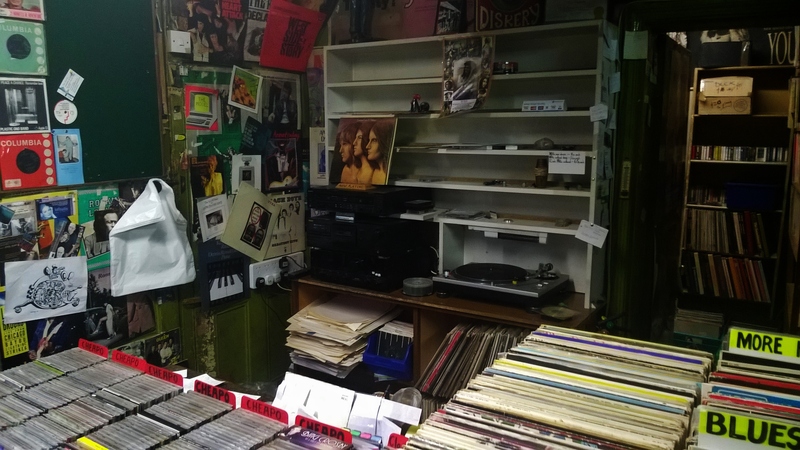 The Diskery is one of England’s oldest surviving record stores – keeping vinyl alive in Birmingham since 1952. 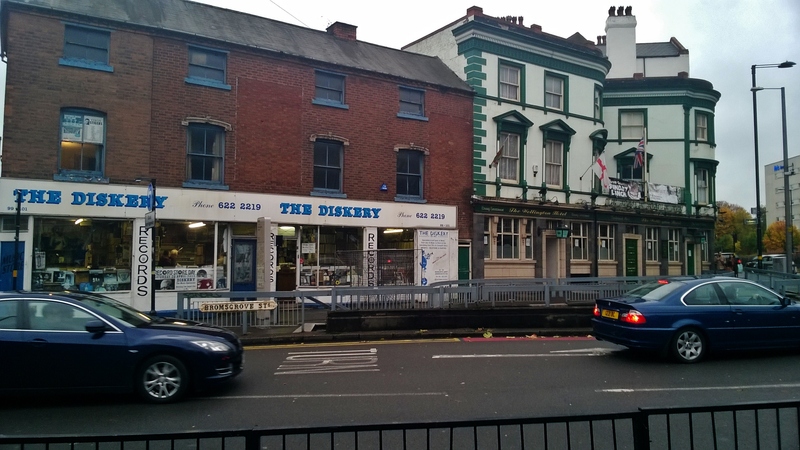 It was first opened on Moor Street by Morris Hunter ; spent a stint on Hurst Street before moving to its current location on Bromsgrove Street where it’s remained since 1973. 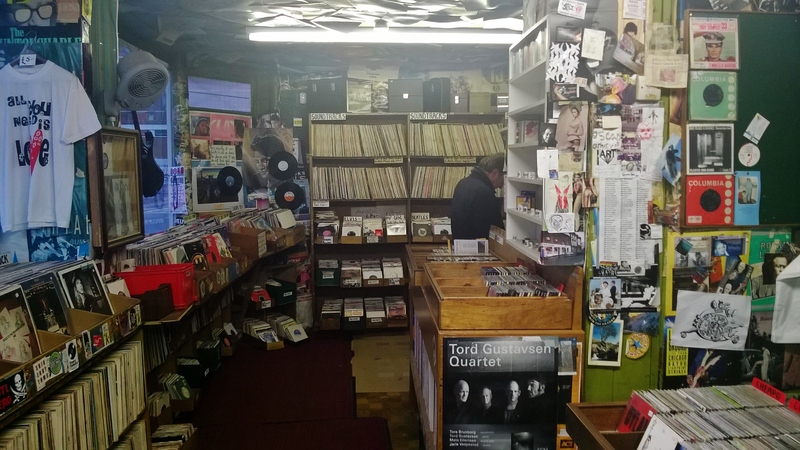 Entering The Diskery is like travelling back in time. 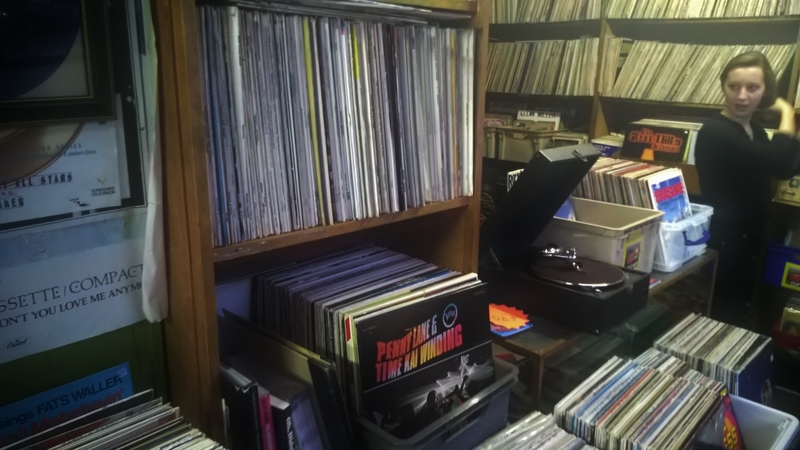 Shelves of cassettes, cd’s and vinyl reach up to a ceiling plastered with vinyl sleeves and decades-old poster memorabilia. At the counter I met with Liam and Lee. 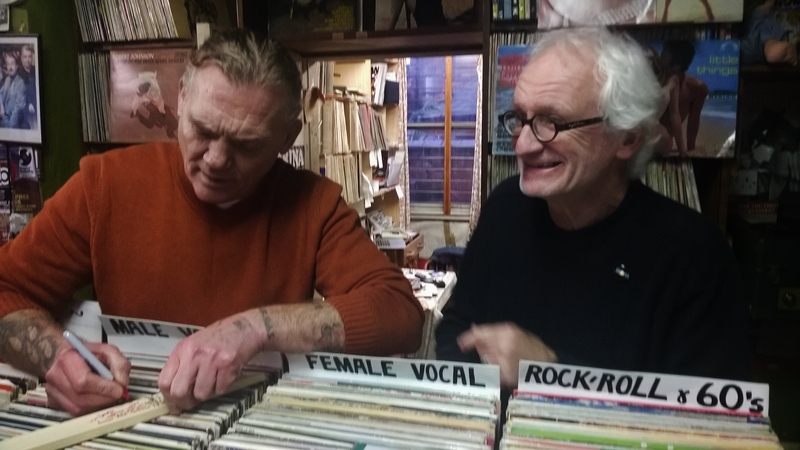 Liam’s worked at The Diskery for over 40 years and now runs the shop. He also does some art projects in his spare time. After explaining about  Pockets of [Birmingham] Liam and Lee gave the montage a The Diskery branded plastic bag, a The Diskery Record/Tape Token and a vinyl disk featuring the song: Morning, Noon & Night by the London Fire Brigade on the one side and of To-night You Belong to Me on the reverse. They then sent me to pop along to see Pippa at Ikon Gallery. They explained that the Diskery has collaborated with Ikon Gallery in exhibitions by Fiona Banner and Vanley Burke.